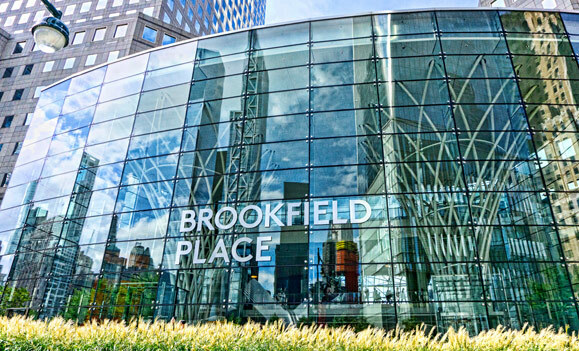 Brookfield Place in Lower Manhattan. 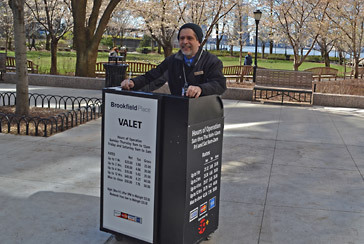 Surrounded by nearby Battery Park City and Tribeca neighborhoods, Brookfield Place is one of New York’s most dynamic districts bringing together modern office space, cultural experiences, curated dining and world-class shopping. The 14-acre commercial complex on the Hudson River in Lower Manhattan is animated year-round so visitors can enjoy ever-changing experiences, from art installations and live music to dining, shopping and more. 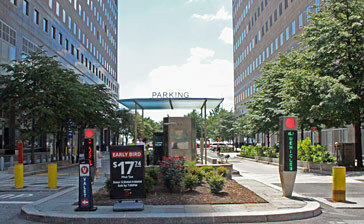 Abundant monthly and daily parking is available at 250 Vesey Street and 200 Liberty Street. 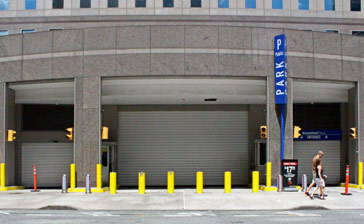 A security checkpoint ensures one of the safest and stress-free parking experiences in the area while providing unmatched access to numerous area attractions including the 911 Memorial, Fraunces Tavern and the Skyscraper Museum.